Don't you hate it when your berries mold over before you get the chance to eat them? I ended up with a large quantity of strawberries that needed to be used, and I needed something to feed the fam-bam who all came in town for my graduation. Strawberry coffee cake came out as the winner for what to make. 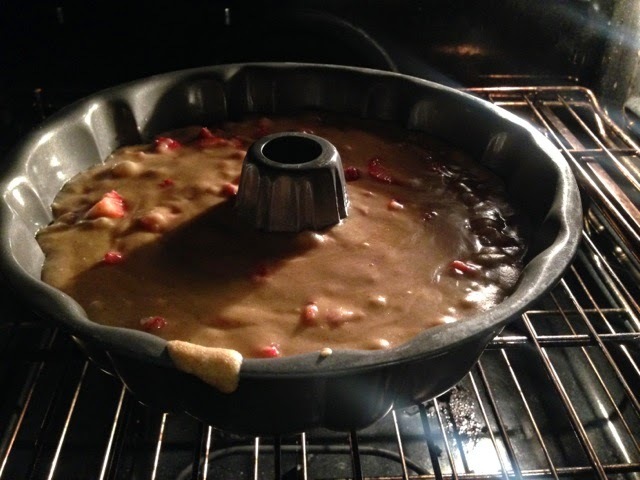 In a medium bowl mix together the flour, cinnamon, nutmeg, salt and baking powder. In the bowl of a stand mixer, mix the oil, eggs and sugar until well mixed. Add the flour and stir. 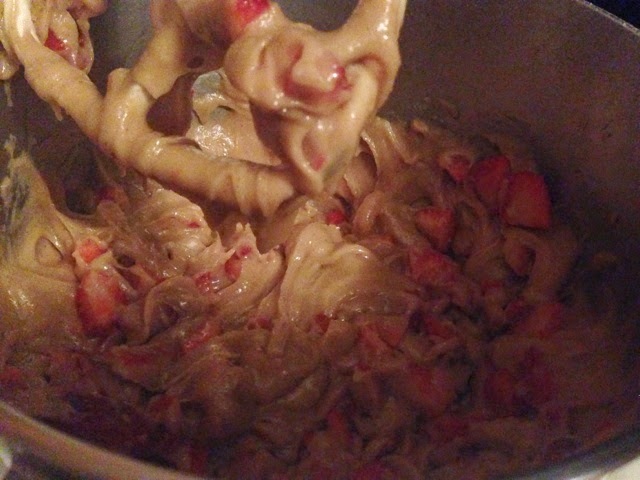 Add the strawberries and stir into the batter. The batter will be very thick. Pour into two greased loaf pans, or in this case I used a bundt pan. Bake at 350 for about 45 minutes-1 hour or until a toothpick comes out clean.